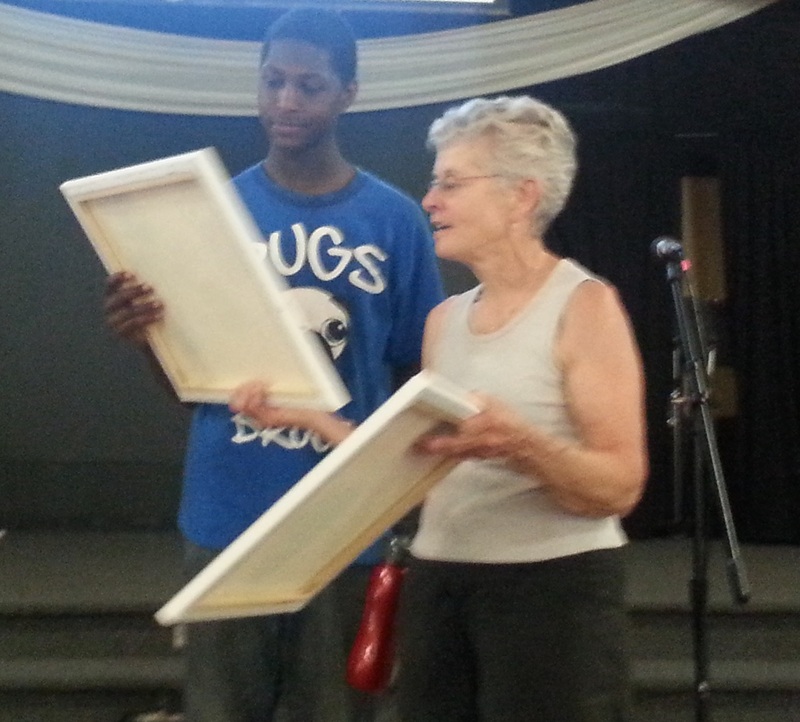 This summer, Pat Gromak was recognized with the Project Everlast Chris Hanus Advocate of the Year Award at the closing ceremony of the Fremont Camp Catch-Up to celebrate her tireless efforts on behalf of youth in foster care. Gromak has served as a Court Appointed Special Advocate (CASA) since June 2010. At Camp Catch-Up, a camp to reunite siblings separated by foster or adoptive placements, the campers surprised Gormak with a handmade painting from four of the young people she used to advocate for — one of whom she now serves as legal guardian. According to the youth who recognized her, Gromak goes above and beyond in her role as a CASA. She strives to attend every medical, therapy and visitation appointment with her youth. Since July of 2012, Pat has contributed over 1,500 hours of her time, driven nearly 5,000 miles, had more than 200 face-to-face visits with her CASA children and made more than 2,500 professional contacts according to Douglas County CASA supervisor, Kim Thomas. The Chris Hanus Advocate of the Year award was created in 2013 to honor professionals going above and beyond in the service of youth in and from foster care, as the award’s namesake did. Recipients are selected by a group of youth with current and former foster care experience from across the state. Youth-created awards are given at events selected and planned by youth in the area where the recipient serves. Other 2014 awardees include Judy Dierkhising of Project Everlast in Omaha and former Senator Amanda McGill for her work on LB216, which is now known as the Bridge to Independence program for youth aging out of care. McGill will be honored in a small ceremony with the Project Everlast-Lincoln council on August 9th, 2014.